Kevin Wilk has led a distinguished career as a clinical physical therapist and is a leading authority in rehabilitation of sports injuries and orthopaedic lesions. 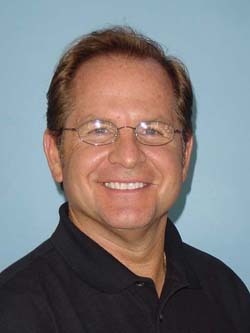 He is currently Associate Clinical Director for Champion Sports Medicine (a Physiotherapy Facility) in Birmingham, AL. In addition, he is the Director of Rehabilitative Research at the American Sports Medicine Institute in Birmingham and is Adjunct Assistant Professor in the Physical Therapy Program at Marquette University in Milwaukee, WI. Dr. Wilk has made significant contributions to laboratory research, bio-mechanical research and clinical outcome studies. He has published over 155 journal articles, over 98 book chapters, and has lectured at over 685 professional and scientific meetings. He is on the review boards for 7 journals and has received numerous professional awards, including: the APTA Catherine Worthingham Fellowship, the Ron Peyton Award, and the James Andrews Award. Kevin Wilk received his PT degree from Northwestern University Medical School in Chicago, IL and his DPT degree from Massachusetts General Hospital Institute of HealthCare Professions in Boston, MA.